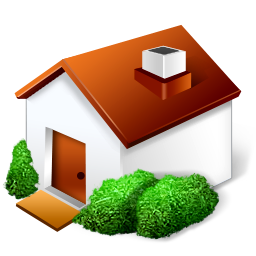 Real Estate Appraisal - home appraisal - appraiser - real estate appraiser - residential appraisals - Oklahoma City, OK - ResAppCo, Inc. Looking for an Oklahoma City appraiser? When you’re looking for a real estate appraiser in Oklahoma City, your search should start and end here. ResAppCo, Inc. appraises real estate in the metro Oklahoma City area, and we are also property appraisers throughout Oklahoma County and surrounding areas. Oklahoma City home values are unique, and you need a local Oklahoma City appraiser with experience completing appraisals in Oklahoma County and surrounding areas. We are experts in providing mortgage appraisals on real estate in the Oklahoma City area. We perform full residential appraisals on Fannie Mae form 1004, drive-bys with exterior photos, interior inspections, single family, multi-family, condo, manufactured housing, HUD/FHA appraisals, purchased properties, or refinancing. We offer pre-listing appraisal services in metro Oklahoma City, as well as a full range of appraisal services to support your clients’ home buying or home selling needs. A listing appraisal can be a powerful tool for a for-sale-by-owner home seller. And give yourself peace of mind that your largest investment — your Oklahoma City area real estate — is really worth what you think it is by obtaining a professional appraisal. If your needs include a professional, prompt, accurate real estate appraisal, contact us or order online to get started today. The official website of the city of Oklahoma City. Complete directory of Oklahoma City schools. Copyright © 2019 ResAppCo, Inc.